Check out the big steppin Socks! made from cotton. nice and soft. 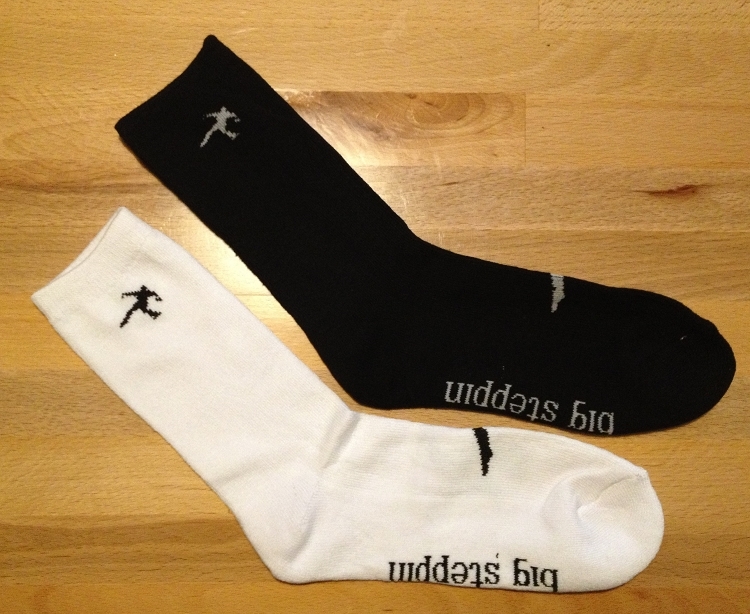 "big steppin" text on the bottom of foot and big steppin logo on the top of foot and also on the sides! The long socks are thicker than the short socks. one size fits all.